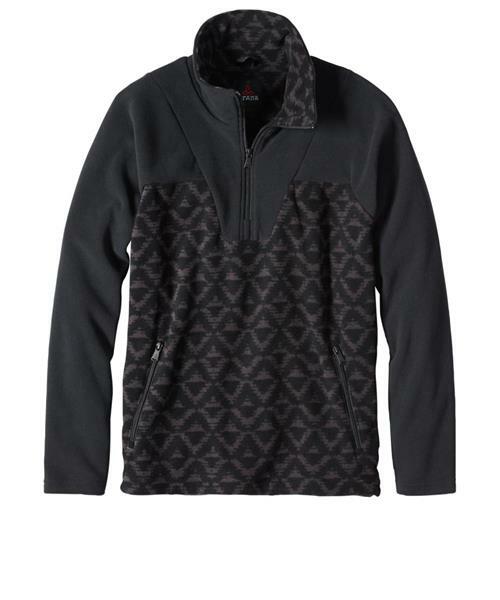 You've always known a polar fleece pullover is essential to your active endeavors. But prAna has made it indispensible by adding a 1/4 zip to the neckline, and an adjustable bungee cord to the waist for a customize fit. Ideal for all types of workouts, the Arnu jacket also features printed colorblocking for a versatile look that brings inspired styled to your everyday outings.